Portland State University is conducting a survey to find out What brought you to Portland? What has kept you here? They want to read your story. 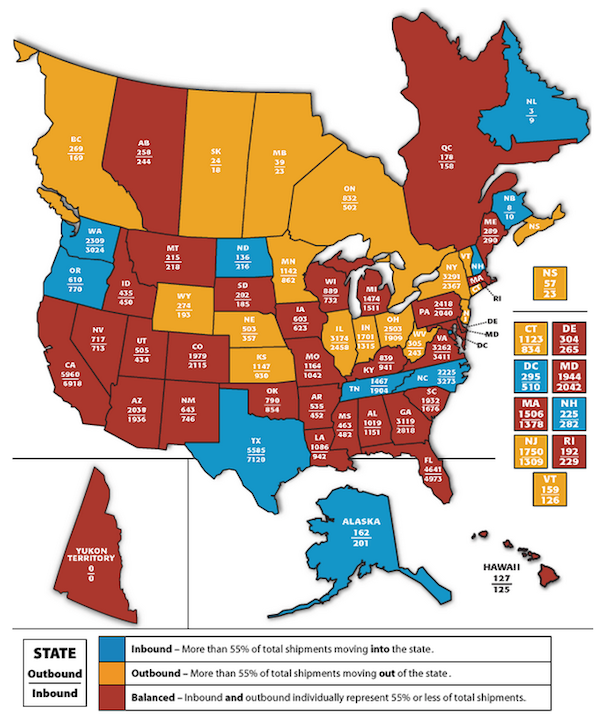 Roughly two-thirds of the region’s (and state’s) population growth is the result of net in-migration. Given that migration brings together people of various backgrounds, including different political viewpoints, age, race/ethnicity, and culture, improving our understanding of who is moving here today will better prepare us for understanding what Portland will look like tomorrow. Portland migrants place strong value on the region’s natural amenities (e.g. climate, access to the gorge), bicycle and regional transit infrastructure, and economic opportunity, but also consistently cite opportunities for social/community engagement as important factors as well. Multnomah County is a very liberal city. The county was over 72% for Kerry. I wonder if the immigrants will change the mix or propel it even further to the left. It would be nice to see more of a balance and make politicians compete for our vote. The survey takes about 15 minutes to complete and is completely confidential. Our survey asks why people chose to move to Portland, why they have stayed, and what they value most in place to live and work. Click here to take the survey: What Moves You? Tell Your Portland Story. I would be interested in hearing what would drive you away, as we prepare to move to Mexico. Well that was fun, wasn’t it? The Population is about 3.9 million so that’s almost $63 for every man, woman and child. The two of us could have had a nice dinner at a fancy restaurant for $126. Insteadwe got this screwing that just left us sore. Gov. Kitzhaber you are ultimately responsible for this disaster. I hope voters remember which party you belong to: The Democrat Party! “Kathleen Sebelius, the health and human services secretary, is resigning, ending a stormy five-year tenure marred by the disastrous rollout of President Obama’s signature legislative achievement, the Affordable Care Act,” writes the NY Times. Now maybe Oregon Governor Kitzhaber will follow suit. 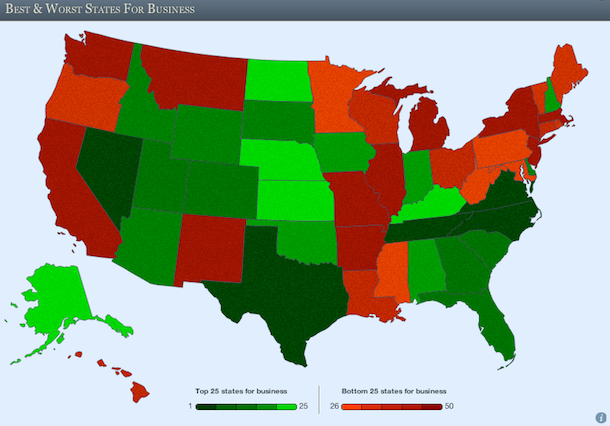 The first chart from Business Insider shows which states are experiencing people migrating into or out of states. Oregon is experiencing Inbound movement. What are those inbounds going to do for jobs? Are the people working going to experience a bigger tax burden? How many years go by before the inbounds become outbounds for lack of jobs and high taxes? Are they getting bigger in La Pine? 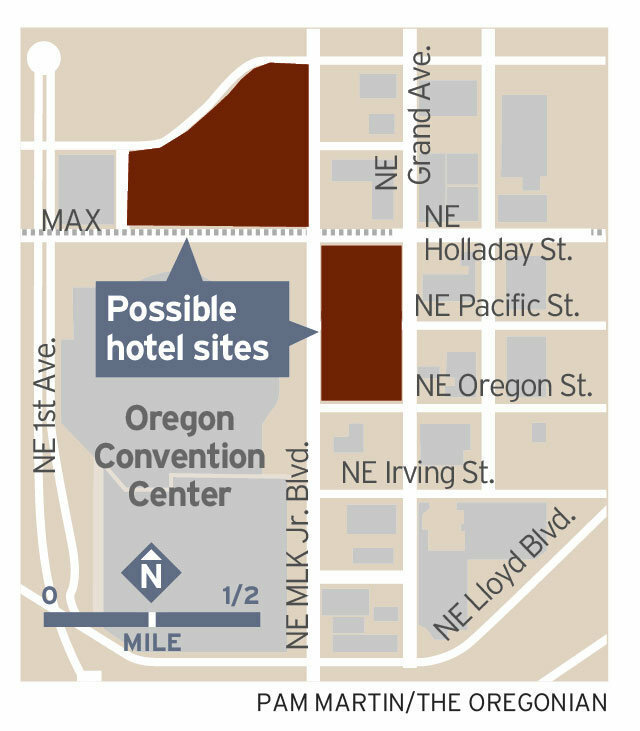 A proposal for a publicly subsidized Hyatt hotel — or maybe two — at the Oregon Convention Center will go to a vote next week after an advisory committee Tuesday gave it a stamp of approval. My readers know that over at the Port of Portland the IBEW and ILWU have been fighting over two jobs. Two jobs that plug, unplug and maintain refrigerated containers at the terminal.Â Compared to June,Â July business at the Port is down 80.1%! The Oregonian writes that port commissioners voted 6-1 to pay up to $4.7 million to ICTSI Oregon Inc. Commissioners and port managers said ICTSIâ€™s viability operating the portâ€™s Terminal 6 is crucial for local businesses. Port Director Bill Wyatt said the maximum payment would equal ICTSIâ€™s annual rent, and include no tax revenue. The fight over TWO jobs is costing all of us up to $4.7 million! $4.7 million is equal to all the net income in 2010 according to audited financial statements. Suppose we all started using rain barrels at our homes. Wouldn’t we be in alleged violation of Oregon laws? How about if someone has a leaking roof and collected that rain water in a bucket, would they be in alleged violation of Oregon laws? Is This A Charlie Hales Scam?